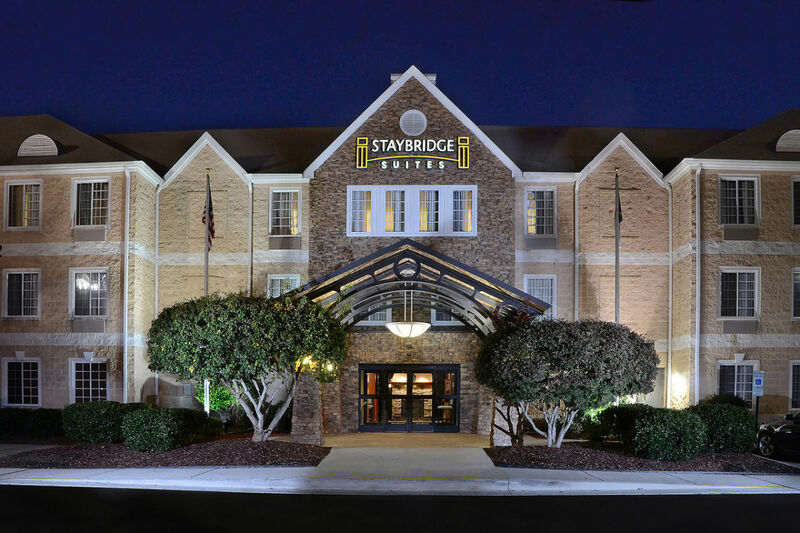 Staybridge Suites Raleigh-Durham Airport Morrisville provides everything you need for an extended stay or just one night. This property will make you feel welcome with the home-like surroundings and amenities. The suites have a full kitchen with residential size refrigerator, stove top and dishwasher. Complimentary full breakfast buffet, on-site self laundry room and social reception, Tues.-Thurs. evenings will make your stay even more enjoyable. This pet friendly hotel features a wonderful outdoor area with a sport court, grills and outdoor seating with fireplace.